February 11, 2019--Fini! Isn't he adorable? Love all the shine. 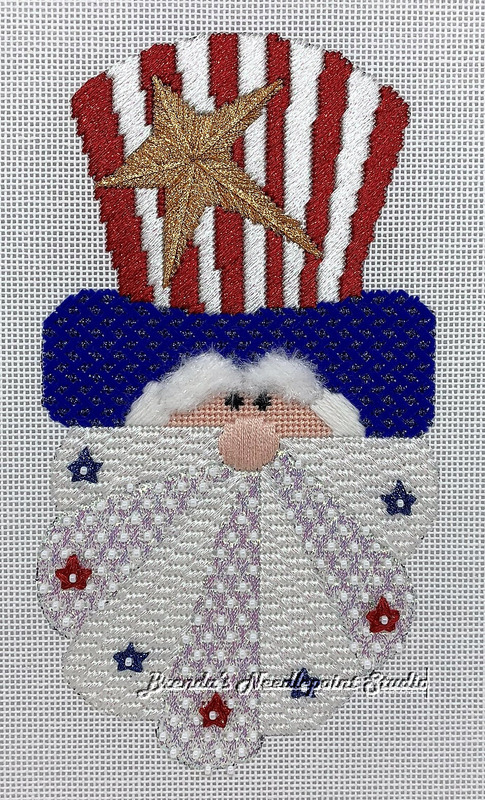 The beard, however, stitched using 2 different threads that were included in the kit, looks very different than JZC's project photo. 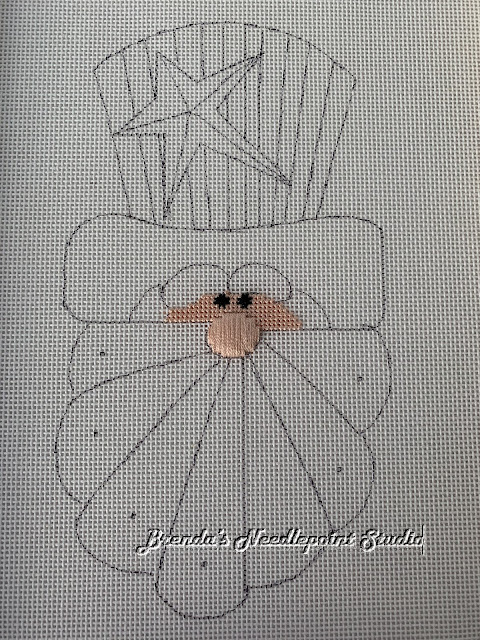 Her threads look "flat" while in my photo, the 3 sections (with red stars) stitched using Kreinik 9032 is very, very shiny compared to the 4 sections (with blue stars) stitched with RG/Neon Rays NP02. 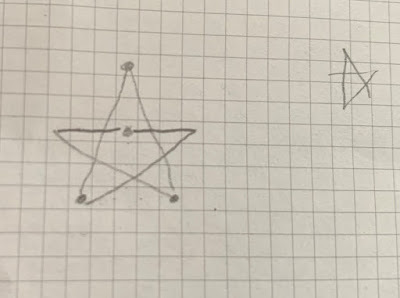 I'll ask other class participants if they see the same thing. At least the white beads "tone down" the effect. 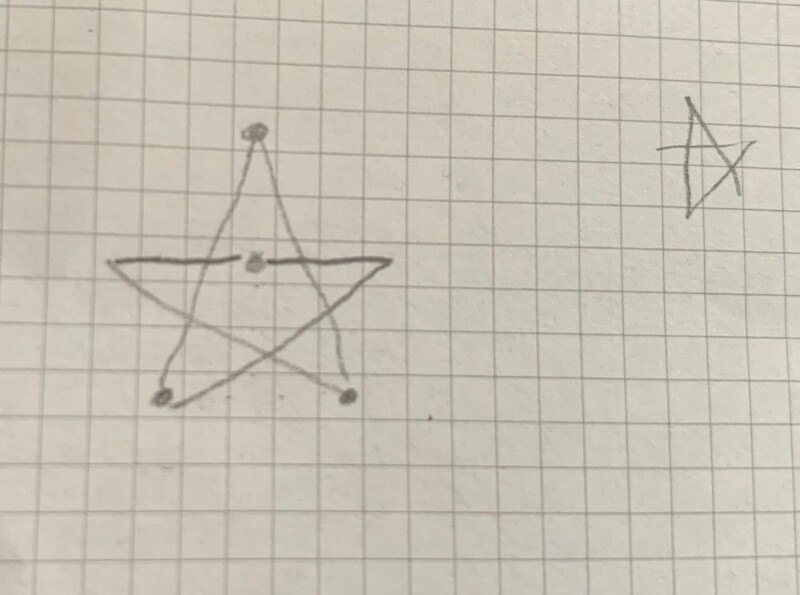 I also stitched the red and blue stars a bit smaller using the diagram below--over 6 threads for the horizontal and vertical stitches, over 5 threads for the diagonal ones. All in all, another fun santa offered by Shining Needle Society. I suspect the next one will be Holly Jolly Santa. 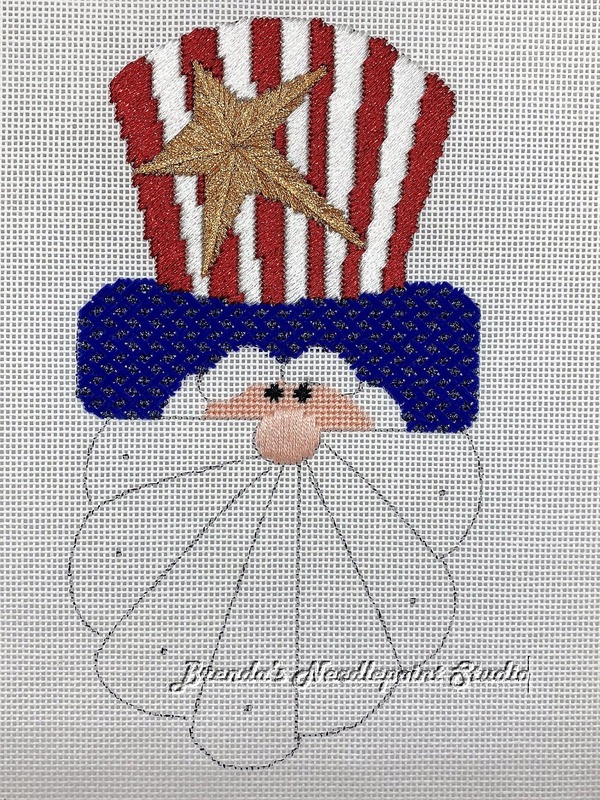 January 21, 2019--This Star Spangled Santa is stitched through Lesson 2 from Janet Zickler Casey. Ready for Lesson 3 which will probably cover the hair, eyebrows and beard. January 16, 2019--Signed up to stitch the new Star Spangled Santa designed by Janet Zickler Casey and offered through the Shining Needle Society (SNS). Just finished the first lesson which covered the nose, face and eyes. Another cutie for sure. Looking forward to working on the hat discussed in lesson 2. Love it. Can't wait to get started on mine. 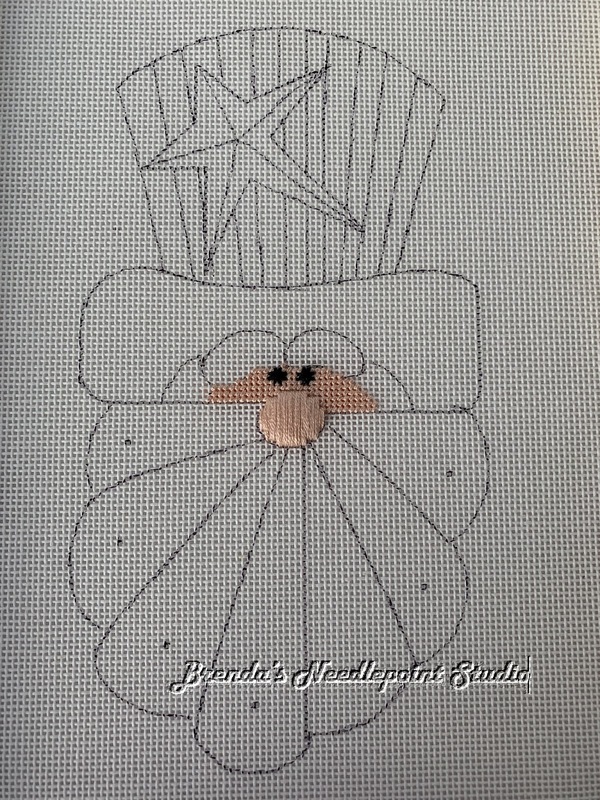 Finishing up the Nutcracker Santa right now.